Under I-502, the legal limit for THC is 5.00 nanograms. Currently, police officers obtain THC readings from blood tests administered in hospitals. Consequently, I-502 gives law enforcement officers more incentive to transport citizens to a hospital and seek a blood test if the officer suspects Drug DUI. 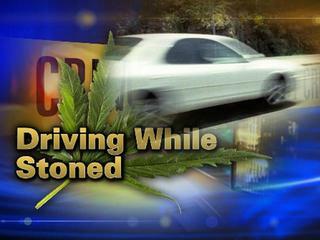 Although some defendants may use drugs under medical marijuana licenses and/or prescriptions, these shall not, by themselves, constitute a defense against charges of Drug-DUI. Similar to the consequences of an alcohol DUI, citizens refusing blood test shall be charged with an upper level “Refusal” DUI for violating RCW 46.20.308, which is Washington’s Implied Consent Law. Worse, an officer has discretion to immediately seek a warrant for a citizen’s blood. With warrant in hand, the officer may obtain a blood test from the citizen anyway. In short, the impacts of I-502 are extremely egregious. Was the arresting officer trained as a Drug Recognition Expert? What is the officer’s particular reason for investigating/charging a Drug-DUI? Did the officer seek a warrant for a blood test? Did the defendant refuse a blood test anyway? Can the Prosecutor establish the chain of custody showing who took the blood, who sealed it, and who tested it? And more, are these individuals available to testify? All of these legal issues, and more, greatly affect the outcome of Drug-DUI cases. Through the years, attorney Alexander has stood out as an experienced, effective and aggressive DUI attorney. He has successfully obtained “Not Guilty” jury trial acquittals and received dismissals on many Drug-DUI cases. Don’t hesitate to contact attorney Alexander F. Ransom for a no-pressure free consultation if you’re facing Drug-DUI charges in Skagit County or Whatcom County. He is here to assist you through these difficult times.